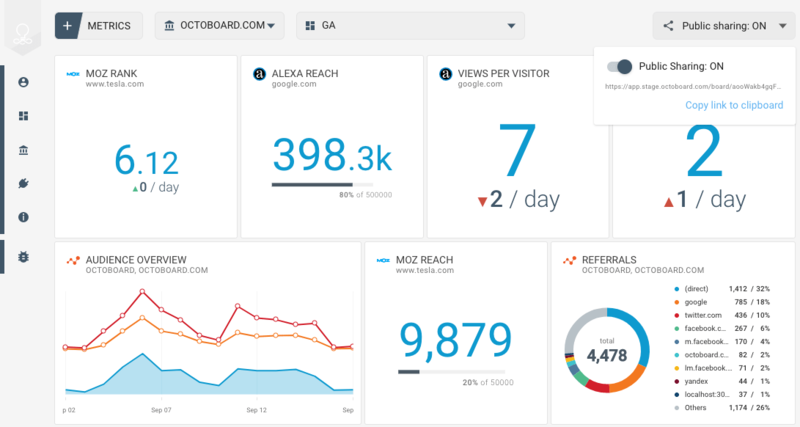 Business performance metrics and analytics from your favorite cloud applications – Digital Marketing, Sales, Finance, Online Engagement, SEO and Email marketing. 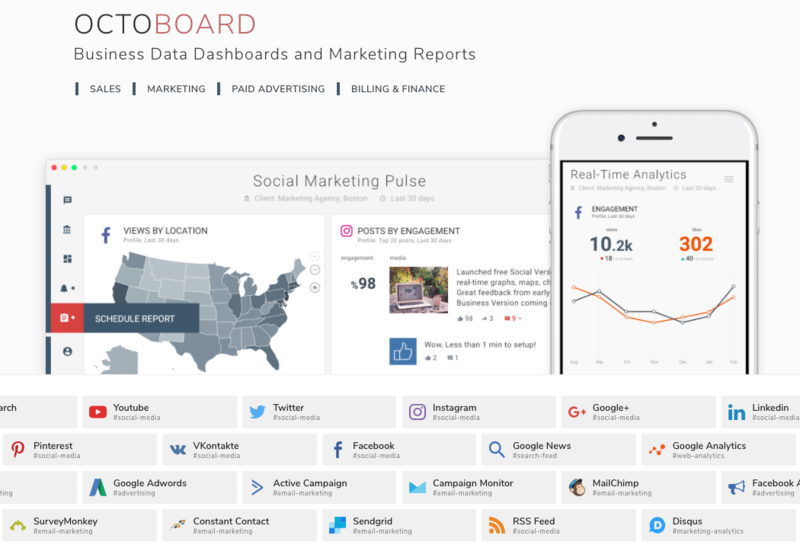 Octoboard seamlessly integrates with over 40 services that your business use and displays performance metrics combined with SendGrid data. 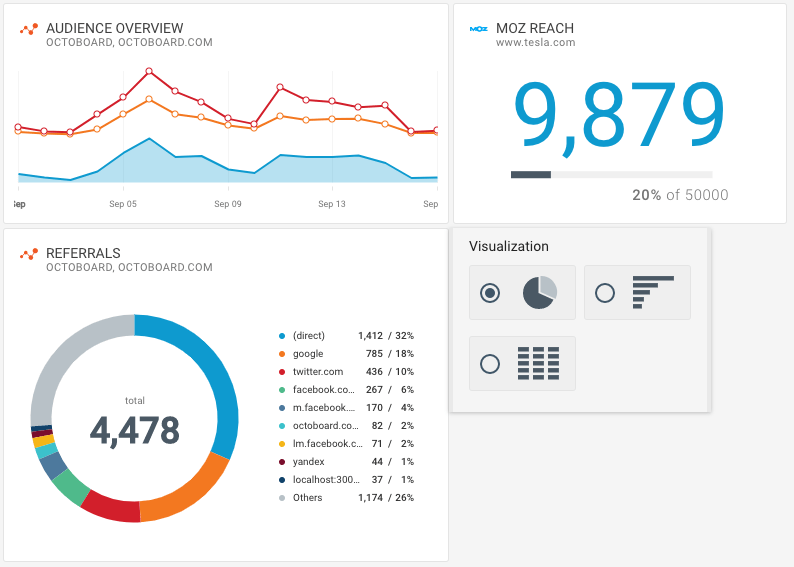 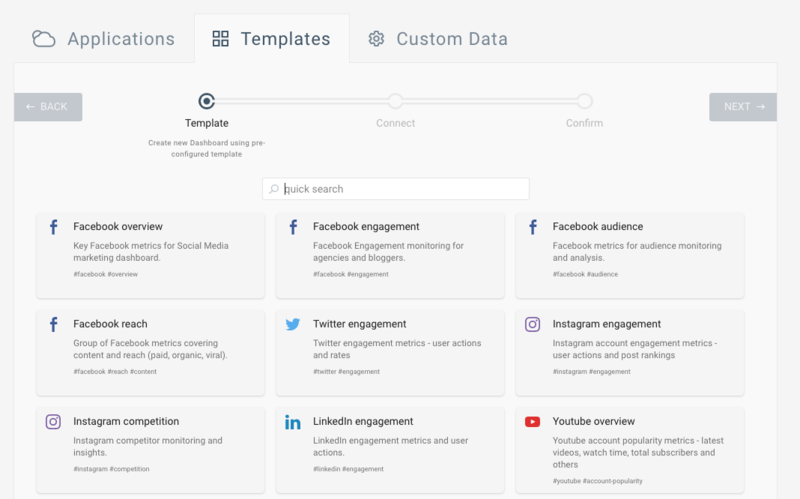 Collection of email marketing metrics from SendGrid for use in a business dashboard.